The most pure, pristine and economical raw nutrition available! 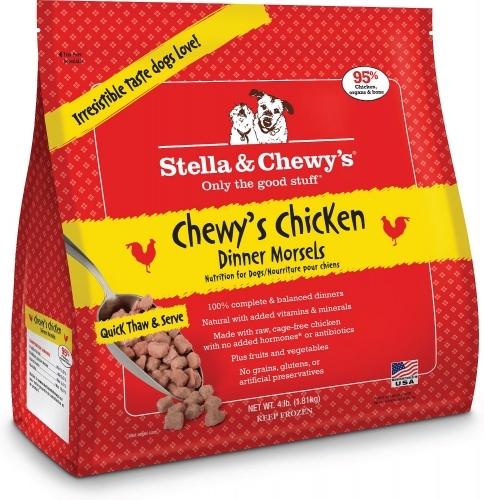 Give your dogs what they naturally crave with Stella & Chewy’s frozen patties and morsel. Dogs and cats crave raw meat, much like they once ate in the wild. Pet parents and veterinarians tell us that feeding a raw diet helps support the overall health of your pet. 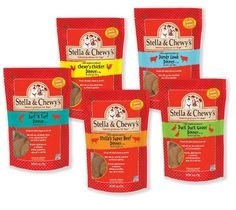 Stella and Chewy's offers a complete line of products including frozen complete diets, freeze dried patties, meal mixers, raw coated and raw blend kibble, and treats.